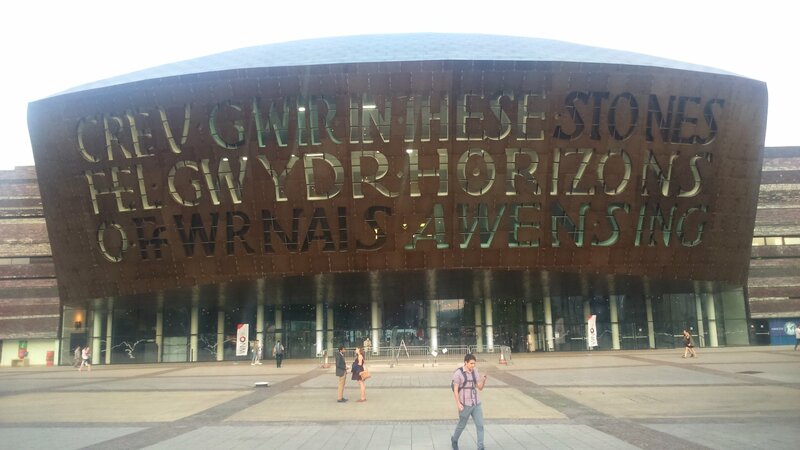 Last night I saw the new Welsh National Opera production of The Scottish Opera Macbeth by Giuseppe Verdi at the wonderful Wales Millennium Centre (above), resplendent in the sunshine of a late summer evening. The original version of this opera was first performed in 1847, quite early in Verdi’s career, but was signicantly revised for a revival about twenty years later. Verdi’s two other Shakespeare-inspired operas, Falstaff and his masterpiece Otello, were written after a gap of about forty years after Macbeth, perhaps because Verdi discovered in Macbeth how difficult it is to adapt an entire play, especially one by Shakespeare, into an opera. The basic problem is that the text is far too long, so has to be drastically abridged to create a workable libretto. Macbeth is one of Shakespeare’s shorter plays in terms of word count, but it does have many changes of location. You can see the problems this posed for Verdi and his librettist Francesco Maria Piave, because the opera sometimes feels rather disjointed. Watching last night I sometimes felt that it was like watching the plot unfold on fast-forward. Another problem is that Macbeth is that many famous speeches have be truncated or cut out altogether. I’m quite familiar with the play, having studied it at school, but until last night had never seen the Opera, so it was a bit of disappointment to find Macbeth’s great soliloquy after the death of Lady Macbeth chopped to only a couple of lines. The same is the case with Lady Macbeth’s great speech upon the arrival of Duncan (“the Raven himself is hoarse…). On the other hand, there is Verdi’s music, which provides a dramatic landscape of its own and smooths over some of the limitations imposed by the operatic form. But enough of the problems with the Opera as compared to Shakespeare’s play and back to last night’s performance. This production had its first night last Saturday to relatively mixed reviews. I have to say that I thought it was superb. The action is set in the modern Scotland of a dystopian parallel universe, with a governing elite dressed in kilts and smart tweeds kept in power by armed paramilitaries in body armour, and assorted ruffians in shell suits and bobble hats. 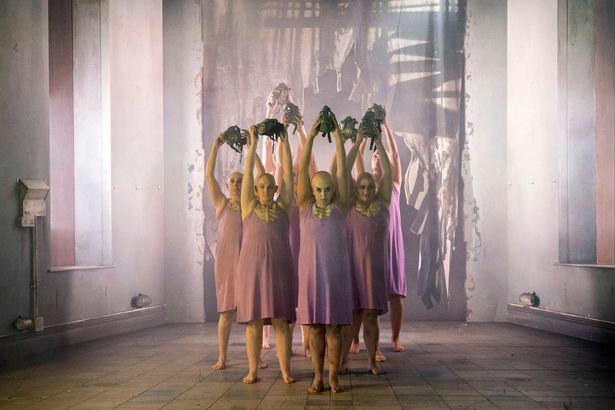 The Three Witches who prophesy that Macbeth is to be King are in this production actually three groups of seven or eight, each group having its own distinctive costume, their multiplicity producing a disturbingly scary effect. They also sang wonderfully, as did the rest of the truly outstanding Chorus of Welsh National Opera who were on blistering form. Some reviewers found the staging unnecessarily brutal, which seems to me to be a rather silly view to take. This is Macbeth, not Mary Poppins! But in any case this isn’t the gorefest that I’ve seen in some theatrical versions of the play. In fact, the most bloodthirsty acts happen offstage. The exception is the assassination of Banquo who is stabbed and suffocated with plastic sheeting in front of the audience; his subsequent sudden appearance as a ghost in the famous banquet scene, his head still covered with bloody plastic, is accomplished with a smart piece of theatrical misdirection, and is startlingly effective. When I read Macbeth at school it struck me that by far the most interesting character in the play was Lady Macbeth. Although her husband is a brave warrior on the battlefield he’s in many ways a bit of a drip. She has power over him and it is her that drives him on to his ultimate destruction. In this production Lady Macbeth (played by Mary Elizabeth Williams) is portrayed as a kind of cross between Imelda Marcos and Elena Ceaușescu (complete with a vast collection of fur coats and expensive shoes), the wife of a tyrannical leader unaware of the inevitability of his downfall. The staging of Acts III and IV plays on the obvious parallels with other historical dictatorships. Mary Elizabeth Williams as Lady Macbeth dominated the first two acts of the play, her very fine voice (great power and lovely mezzo tones) matched by a powerful stage presence. That she overshadowed baritone Luis Cansino as Macbeth is not a criticism – I think it should be that way. Lady Macbeth does not appear at all in Act III and only once in Act IV when we see she has already lost the plot along with her marbles, sleepwalking and possessed by hallucinations. Soon after that, she dies (offstage), aand Macbeth himself surrenders to his fate at the hands of Macduff. At the very end, though, after his death aria, and just before the curtain falls, it is Fleance (the young son of the murdered Banquo and the future King) who cuts the throat of the dying Macbeth. Anyway, if you have read the reviews of this production then don’t let them put you off. I thought it was a very provocative and interesting take on a familiar story and well worth going to see unless you only like your opera bland and formulaic.